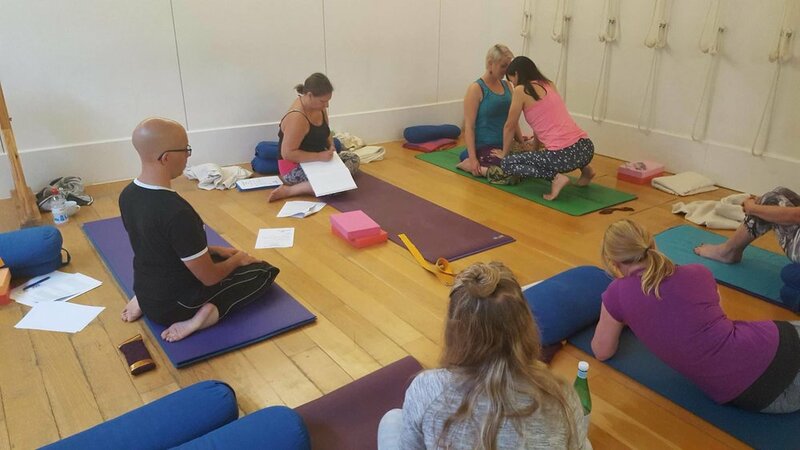 Yoga Therapy Training - London, UK - October & November 2019: NEW Venue Down to Earth, Islington! Autumn/Winter 2019 - Special 200 Hour Teacher Training Course Yoga Therapy Module with Yoga & Co. Nottingham - Watch this Space! yoga therapy professional training in london 2019! Sunday’s October & November 2019 - Exact Dates TBA! "I have known Alexa for nearly three years when she took over teaching a class I was attending. As I was relatively new to Yoga, Alexa's method of teaching really suited me. I continued my practice with her and joined her on her retreat in Sri Lanka. As I had a long-standing back problem she suggested doing some 1-2-1 Therapeutic and restorative sessions with her which helped not only physically but mentally with how to manage my problem. My interest in Yoga deepened and I started learning a programme with her which has led me, with her guidance, to starting my next yoga journey - Yoga Teacher Training. I would recommend Alexa to anyone at any stage of their Yoga journey!"